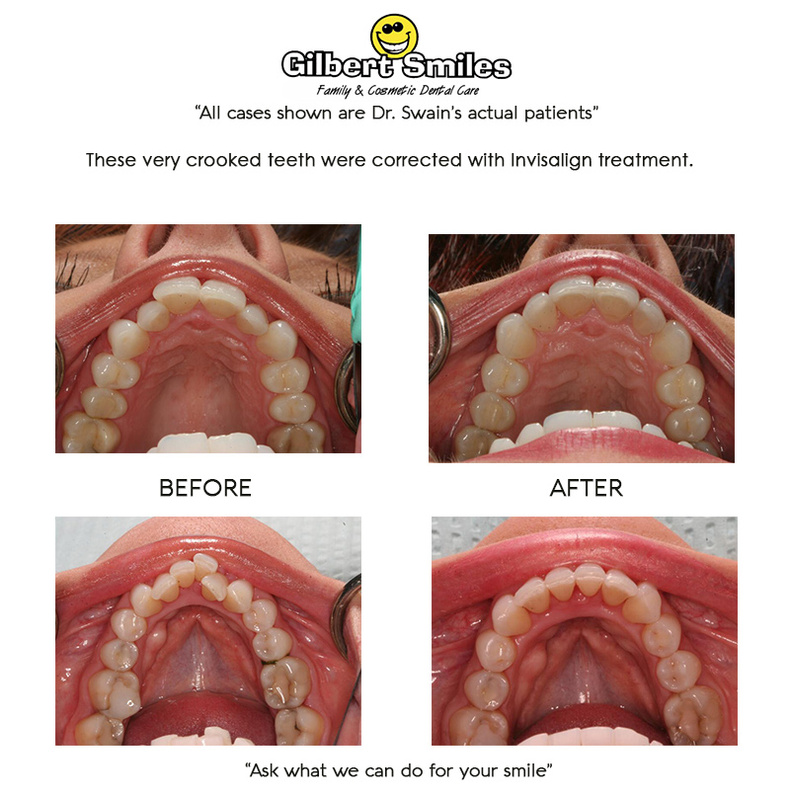 Invisalign uses a series of clear, removable aligners that are custom made to straighten your teeth. No brackets or wires are needed. 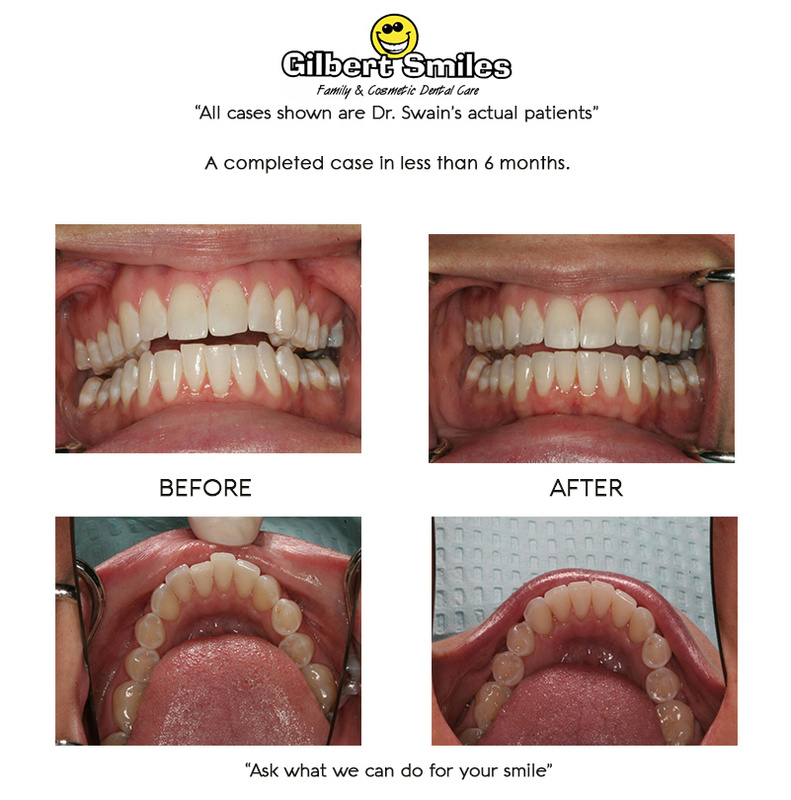 The nearly invisible aligners are comfortable to wear and can make a big improvement in your smile without drawing attention to the fact you are having treatment. A healthy, confident smile helps you make the right impression. Invisalign can treat a wide range of conditions including crowding, gaps, crossbites, overbites, underbites and buck teeth. All of these conditions can affect your dental health. 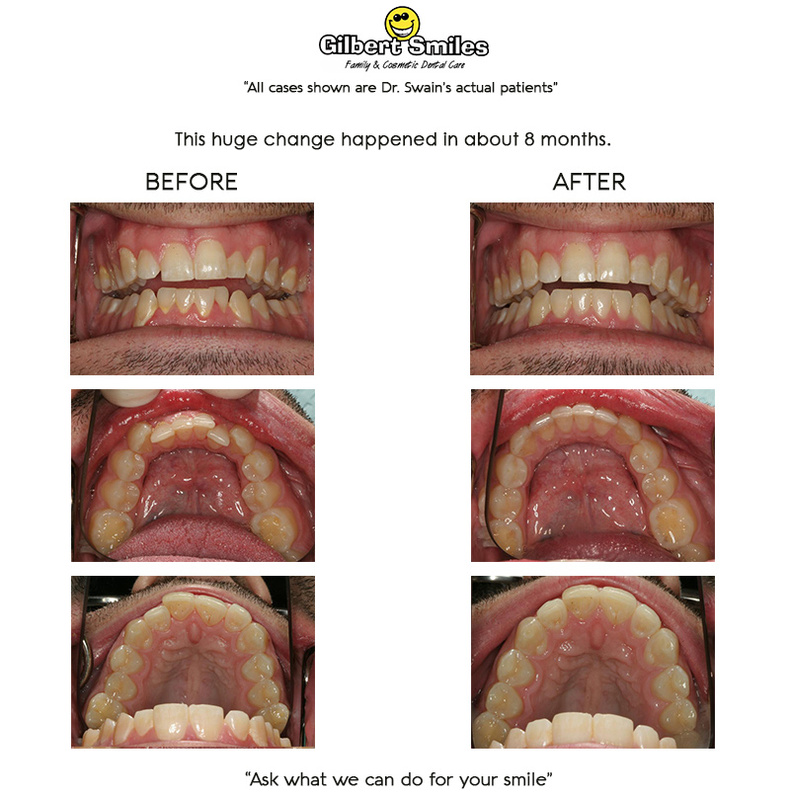 Straighter teeth not only look better but they also provide health and hygienic benefits such as healthier gums, easier cleanings, better chewing, and decreased abnormal wear. 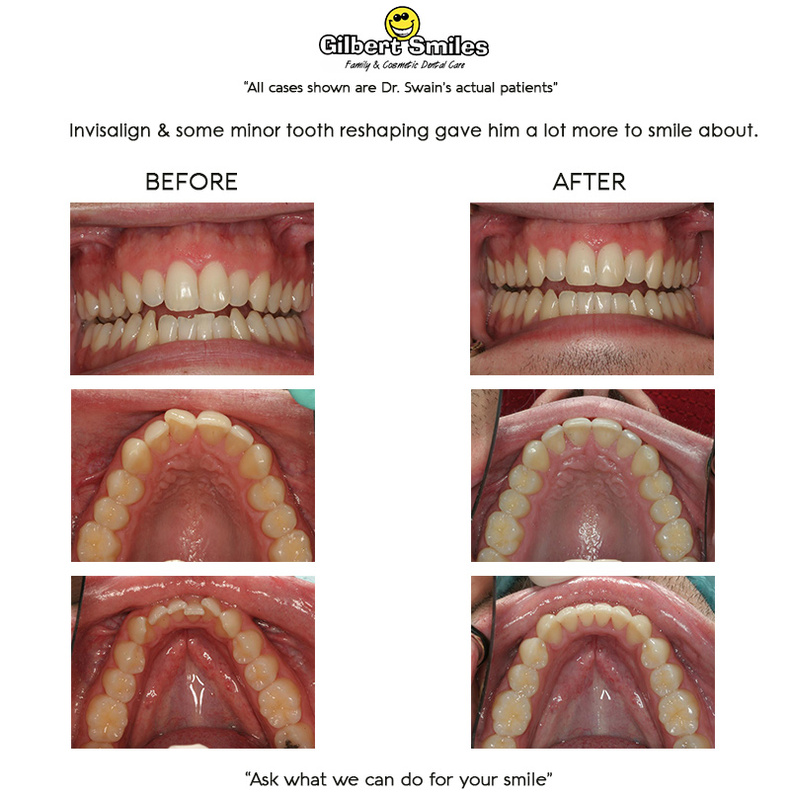 The treatment begins with custom impressions and photographs. Dr Swain and Invisalign’s 3-D computer software use these to design your individual trays. Once received, Dr Swain will see you for delivery. You just wear the trays all the time except when eating and when brushing and flossing. 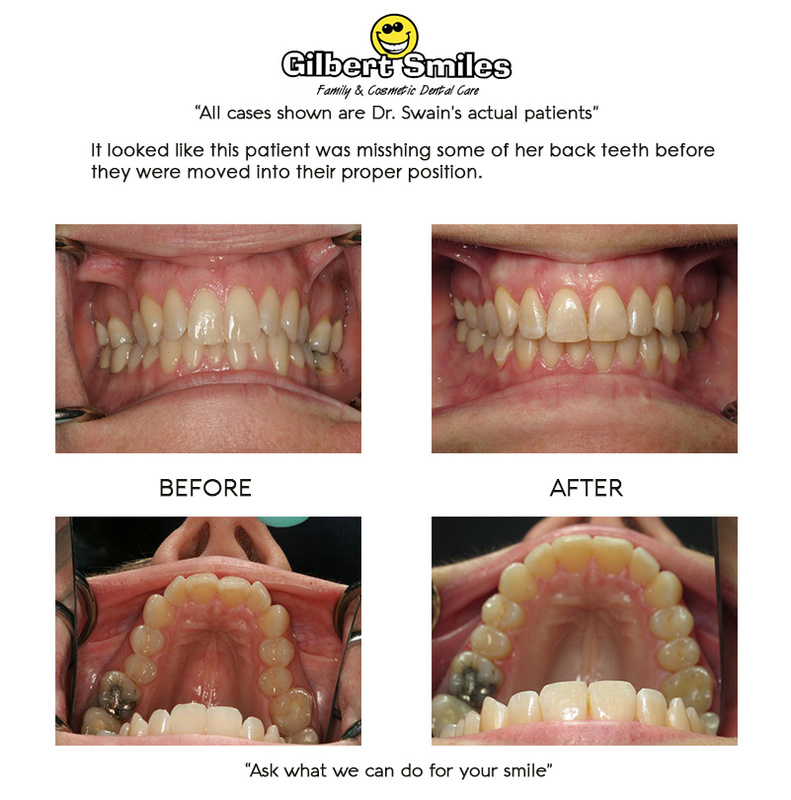 A new set of trays is inserted every 2 weeks until your new and improved smile is complete. We can make your Invisalign treatment affordable by using your orthodontic insurance coverage, flex spending accounts, payment options and third party financing. In addition, our office has multiple tiered fees for Invisalign based upon how long your treatment will take. Shorter cases cost less. 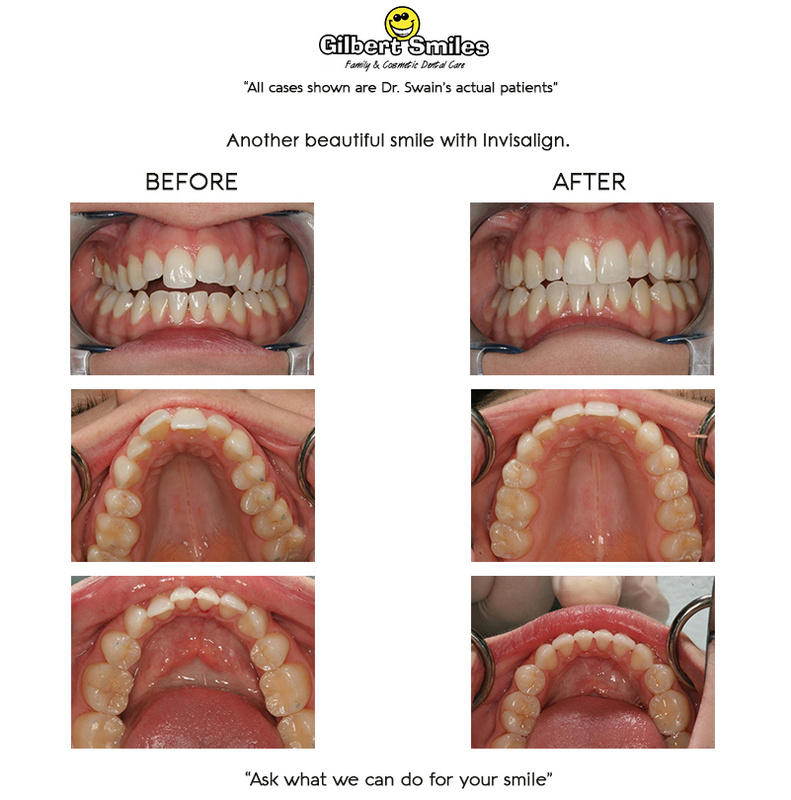 Our practice has helped many patients achieve healthy, beautiful smiles with Invisalign. 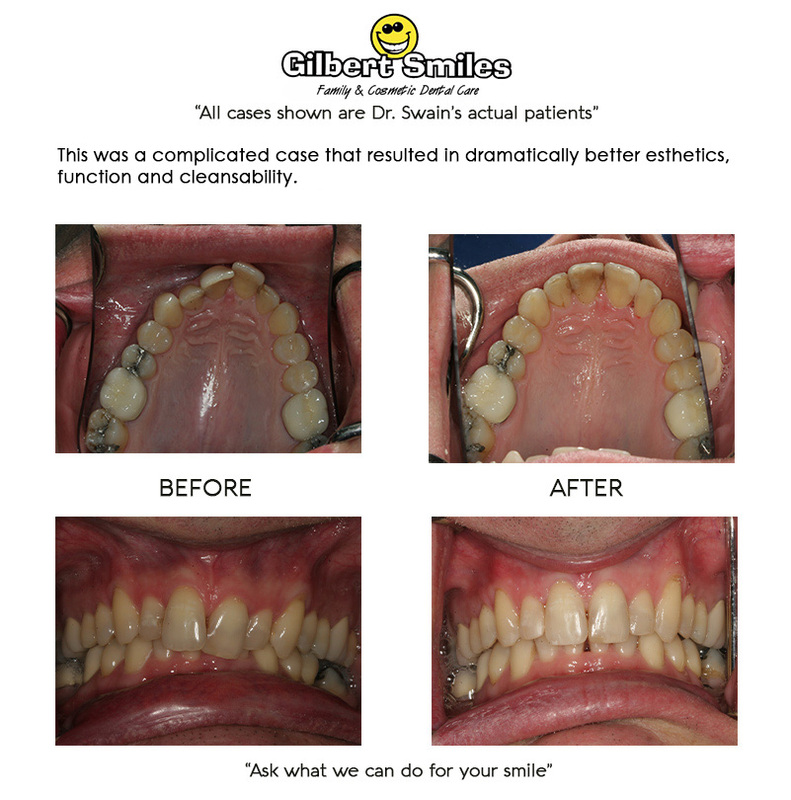 Let us help you transform your smile into the confident smile that will change how the world sees you and how you see yourself. Ask us about how you can get started today! © 2019 Gilbert Smiles Inc.